You open up a hair magazine, and see a natural style that is just "perfect" for you. You're excited to see that there are only a few simple steps to achieving the same look. So, you gather all the supplies and follow the instructions carefully, making sure to use the exact same products and the exact same method. When you finish the final step, you hurry to the mirror to view your masterpiece. Only, it's not a masterpiece reflecting back at you-- just a BROKE DOWN version of your old self. What happened? You followed the instructions to a tee. But this new 'do looks nothing like it did on the model in the magazine. Well, there could be a few simple reasons for this. Many of you probably already know that a curl is not a curl is not a curl. Some people have loose curls, and some people have tighter curls. But did you realize that even amongst those of us with the tightest of curly knots, a kink is not a kink is not a kink? Andre Walker, Oprah's hair care guru, developed a system to help classify hair types. 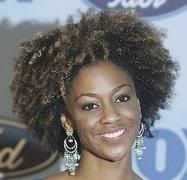 ("4C" hair is a category that has also been added by the world of curly folks. This texture of hair has been described as a more "challenging" version of 4B hair. Very tightly kinked hair, with no curl definition at all. I don't have any pictures of this category, because it's hard to be able to identify this texture just from looking at pictures. In my opinion, you'd need to see it microscopically, or via the coming forward of a self-proclaimed 4C'er). So, now that you've seen the pictures, you can more or less figure out what your hair type is. What's the next step? Since those of us with "curly knots" probably fall within the 3B to 4C range, I'm only going to list suggestions for these hair types. 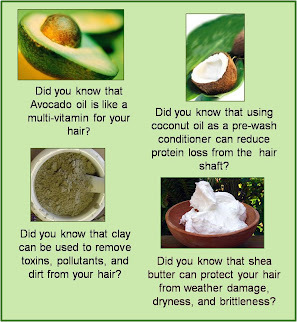 This is an abridged version of what you'll find at http://www.naturallycurly.com/hair-types. Of the suggested products, however, I am only listing products that I have personally tried. 3B- This type of hair needs products that will fight the frizzies and define curls. Moisture is key. Don't comb your hair when it's dry, unless you're going for the POWDER PUFF look. Air dry wet hair, or use a diffuser, so that you don't disturb your natural curl pattern. 3C- This type of hair tends to be a little more fragile than 3B hair, but the same styling recommendations apply. 4A/4B- Welcome to the look and feel of cotton! This type of hair is even more fragile than the 3C type, because fewer cuticle layers protect the hair strand from the elements. This type of hair is the driest of all, due to the fact that the natural curls and kinks make it difficult for the sebum (oil from your scalp) to get to the hair ends. And split ends are a pain in the you-know-what! I tried "that", and it did NOTHING for my Hair!!! How many times have we said THAT?!?!? Unfortunately, other than using a crude category system, we have little way of being able to tell which products will work best for our hair other than employing trial and error. You and your sister could both have 3B hair, as far as you can tell, yet yield two different outcomes when you use the same products. 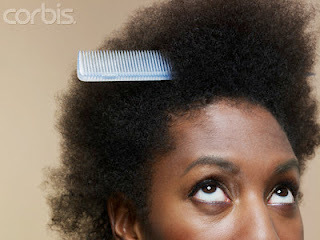 Your best friend, who's a 4B, can use a hair regimen that she "swears" helped her hair to grow. Yet you, a 3C, can use the exact same regimen and still experience dryness and breaking. It's because hair "type" goes far beyond what meets the eye. The more you know is the more empowered you will be to preserve and protect the unique locks that God blessed you with. This article is cooool but, idk if it helps much because, curl pattern does not affect how well a product works. All of our hair has different chemical composition so it really just depends on what the hair favors and doesn't favor. It is really actually dependent on genetics. Don't worry, RavenStarZSO. That's exactly what Part 2 will be covering!